Roald Dahl’s timeless story of the world-famous candy man and his quest to find an heir comes to life in this stage adaptation of Charlie and the Chocolate Factory, which features the songs from the classic family film Willy Wonka and the Chocolate Factory. Roald Dahl's WILLY WONKA, featuring a memorable score by Leslie Bricusse and Anthony Newley, follows enigmatic candy manufacturer Willy Wonka as he stages a contest by hiding five golden tickets in five of his scrumptious candy bars. Whoever comes up with these tickets will win a free tour of the Wonka factory, as well as a lifetime supply of candy. Four of the five winning children are insufferable brats: the fifth is a likeable young lad named Charlie Bucket who takes the tour in the company of his equally amiable grandfather. The children must learn to follow Mr. Wonka's rules in the factory--or suffer the consequences. This scrumdidilyumptious musical is guaranteed to delight everyone's sweet tooth and will take audiences on a fantasy ride into the land of pure imagination! The show runs for two weekends with performances on Nov. 23, 24, 25, 30 and Dec 1 and 2. The Friday and Saturday shows begin at 8 pm. The Sunday matinees begin at 3 pm. Riverfront Theatre is located at 2 S. Walnut Street in downtown Milford, Delaware. Plenty of free parking is available near the theatre. “Willy Wonka” features all the favorite songs from the film “Willy Wonka and the Chocolate Factory,” such as “The Candy Man,” “Pure Imagination,” “Oompa Loompa” and “I Want it Now.” Roald Dahl's 1964 novel has twice been made into a hit film. The 1971 musical film starred Gene Wilder as the mysterious Mr Wonka, with Johnny Depp taking the role in the 2005 re-make. The stage musical follows enigmatic candy manufacturer Willy Wonka as he stages a contest by hiding five golden tickets in five of his scrumptious candy bars. Whoever comes up with these tickets will win a free tour of the Wonka factory, as well as a lifetime supply of candy. Four of the five winning children are insufferable brats. The fifth is a likeable young lad named Charlie Bucket who takes the tour in the company of his equally amiable grandfather. The children must learn to follow Mr. Wonka’s rules in the factory – or suffer the consequences. The five Golden Ticket winners include Charlie Bucket (Devon Lynch from Georgetown), the gum-smacking Violet Beauregarde (Hadley O’Day from Milford), the spoiled Veruca Salt (Melanie Newark from Harrington), perpetually hungry Augustus Gloop (Andrew Hall from Milford), and the pistol-packing Mike Teavee (Richard Gallo from Rehoboth Beach). Reserved tickets are $20 for adults and $10 for children ages 12 and under. For more information about the show, or to reserve your tickets, visit Second Street Players online at secondstreetplayers.com. Tickets may also be purchased by calling Brown Paper Tickets at 1-800-838-3006. 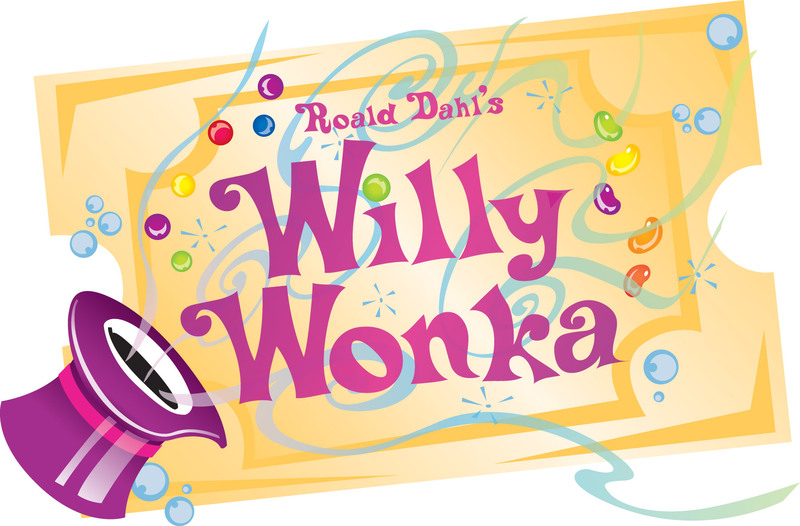 Roald Dahl’s “Willy Wonka” (Theatre for Young Audiences version) is presented through special arrangement with Music Theatre International. The production is made possible, in part, by a grant from the Delaware Division of the Arts, a state agency dedicated to nurturing and supporting the arts in Delaware, in partnership with the National Endowments of the Arts. TICKETS at the Door or Online*!